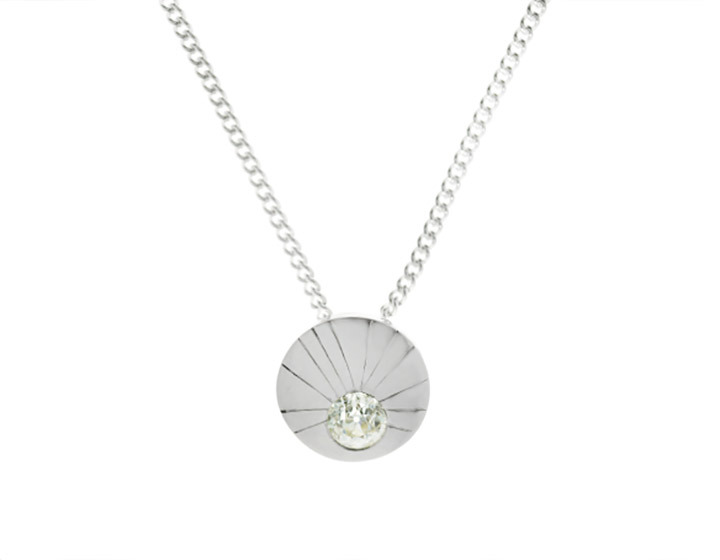 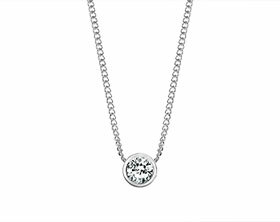 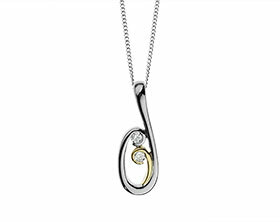 This simple and versatile pendant has been crafted from 9 carat yellow gold and has been invisibly set with a 2mm princess cut H Si diamond. 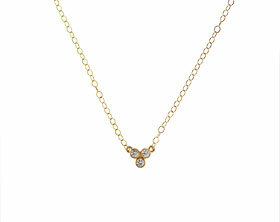 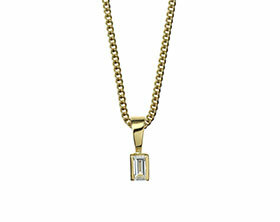 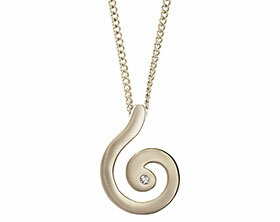 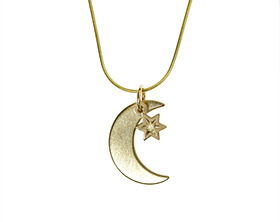 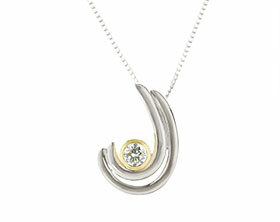 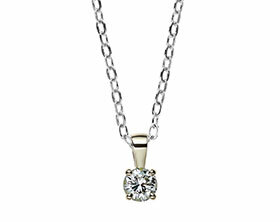 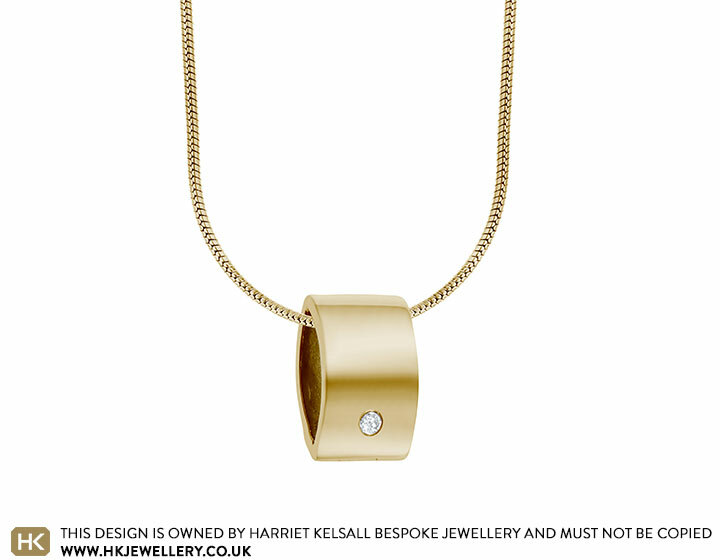 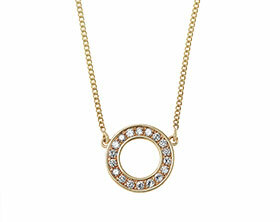 The 16 inch 9 carat yellow gold omega cable chain runs through the almond shaped pendant for a contemporary style. 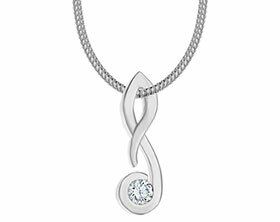 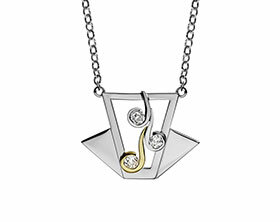 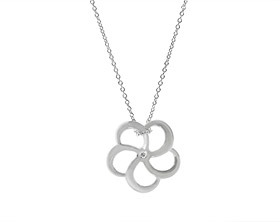 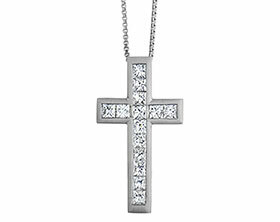 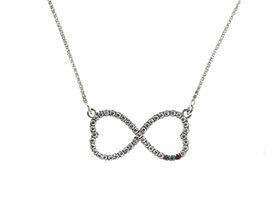 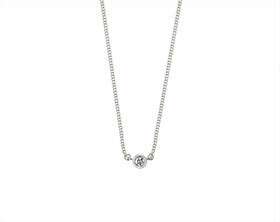 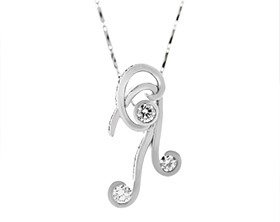 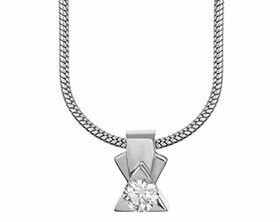 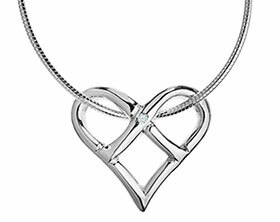 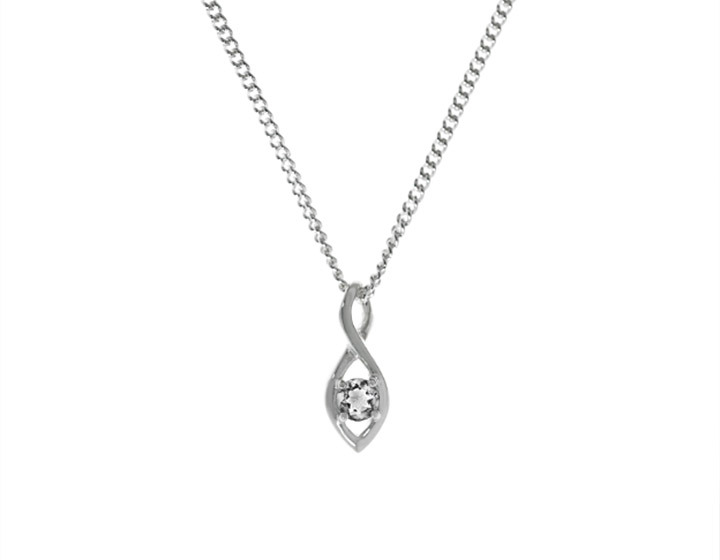 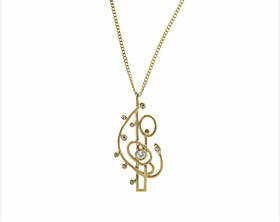 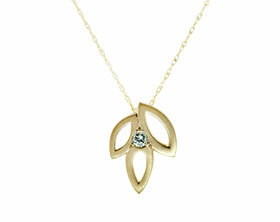 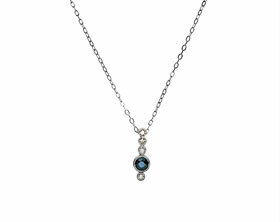 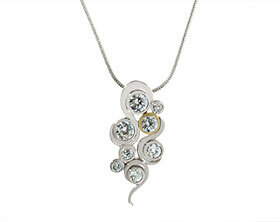 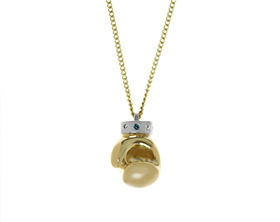 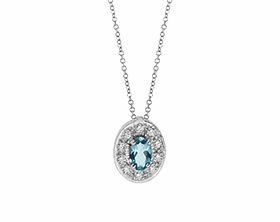 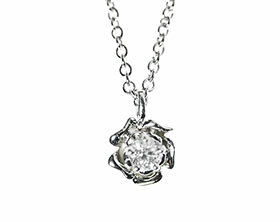 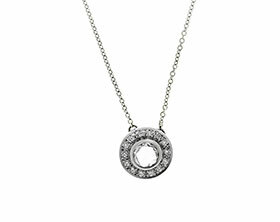 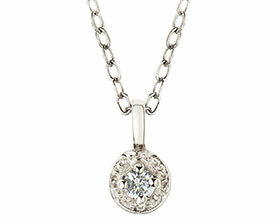 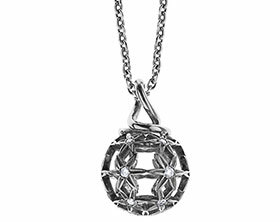 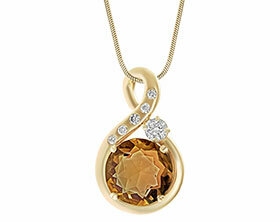 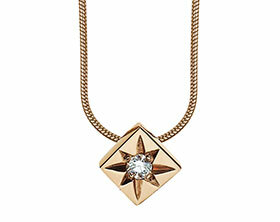 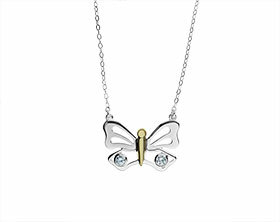 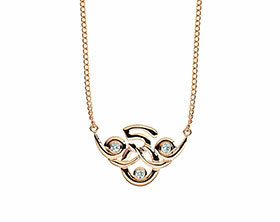 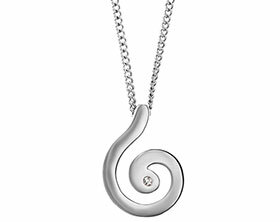 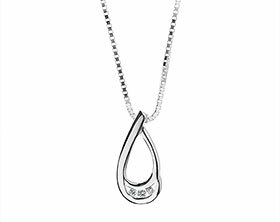 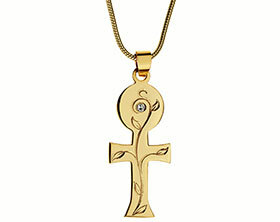 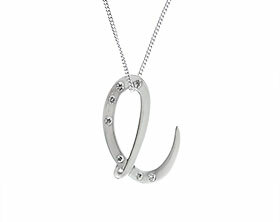 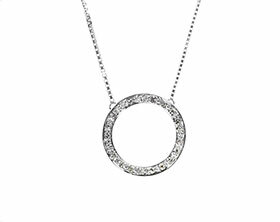 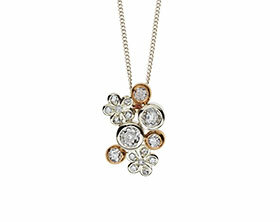 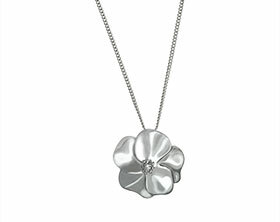 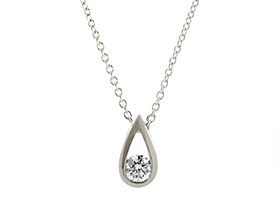 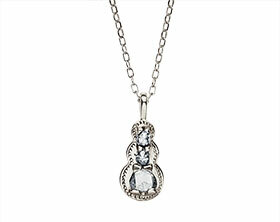 This pendant would be great for every day wear adding a touch of elegance to any outfit.